Somali Refugee Abdi Nor Iftin: 'I Am Here To Make America Great' Back in Somalia, Abdi Nor Iftin was nicknamed "Abdi the American," and his love of this country put him in danger — but then he got a visa to come here. Iftin has a new memoir out: Call Me American. Iftin's long road to the US began when he was only a child in Mogadishu, watching American movies and teaching himself English, while brutality and war raged around him. In his new memoir, Call Me American, he tells his story from the beginning: with his nomadic parents and their now-unimaginably peaceful, pastoral life. "She had no idea that the country she was living in was called Somalia," Iftin says of his mother. "She had always told me, 'You know, Abdi, there's only two days: The day that you're born and the day that you die. Everything else is just grazing and hanging out with the animals.'" Life was so easy, he says, before drought and famine wiped everything out. I was six years old when the civil war started, militias started pouring into the city, and death and killings and torture, and I just cried. The smell of Mogadishu, it was just the smell of gunpowder. And that had been sticking with me forever ... I think this is the most touching memory that I can remember, to have our youngest sister die, and we said, "Good. That is so easy for her," and then I was jealous. I was jealous because that was the time when our feet were swollen, our bellies were empty. It was a feeling that you could die any time ... and I looked at my other sister, and she was just eating sand. And I think that's the stories that people don't hear about. I still say they stole my heart, because it was the very first time that I saw people with guns, and the guns were pointed up in the air, not in my face. Then they were coming and giving us sweets — I wanted these people to stick around, I wanted these people to be part of my life. 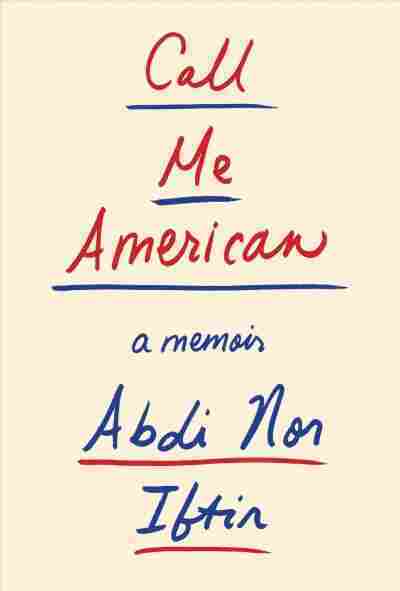 On being targeted by Islamists because of his nickname, "Abdi the American"
Unfortunately, I still believe that Islamists were born out of the American involvement somewhere in the Middle East, and the phrases that they had used to attract young men of my age was just "America." They said, "They are the enemies of Islam" ... surprisingly, I was out on the streets, defending President Bush, I don't even know why I did that. But I was defending him, and blaming Osama bin Laden for all the problems. But I thought, to me it was just expressing myself, but then it got me into trouble, and I received a phone call saying, "You got to stop and drop that nickname, or we're going to kill you." When I wake up in the morning, I say, oh, I'm so lucky — I have arrived here before America had turned its back against the rest of the world. I don't think they do! You know, Americans take so many things for granted. For example, I came to the U.S. through the diversity immigrant visa lottery, which [President Trump] would like to cancel. But if it was not the diversity lottery, I would have never come to America, never. I had been an American since I saw those Marines, and my nickname is going to be my nationality, very soon ... When I wake up in the morning, I say, oh, I'm so lucky — I have arrived here before America had turned its back against the rest of the world. If this had happened when I was hiding myself from Islamic terrorists, just trying to come to America and become an American and all that, it would be a disappointment, it would be a betrayal by the United States. Because the way I understand is that America is open to the rest of the world. And I am here to make America great. I did not come here to take anything. I came here to contribute, and to offer and to give.